The webinar looks at how the professional practice program at Niagara Health assessed its Best Practice Spotlight Organization (BPSO) designate activities and best practice guideline (BPG) implementation successes. They also formed a new BPSO Committee, linked this work with the Nursing Advisory Committee, developed a Champions network strategy, and created some community partnerships. 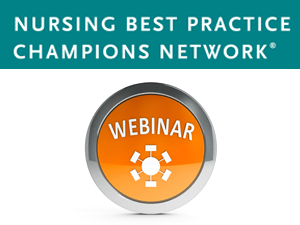 This webinar shares their journey to ensure that their clinical staff are practicing evidence-informed decision making in all aspects of patient care and, are aware of the RNAO BPGs that have been implemented throughout the organization.